Foursquare is turning one year old and you are invited to the birthday party. The mobile application was first introduced at the South by Southwest (SXSW) conference in Austin, TX in March 2009. 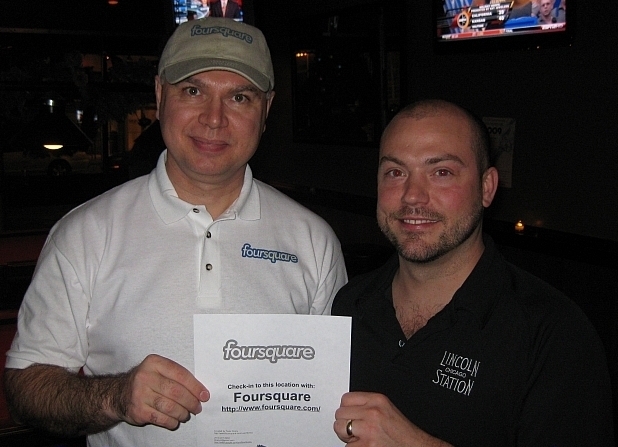 Foursquare quickly became the breakout mobile application at the conference. Foursquare is a location-based social networking website, software for mobile devices, and game. Users "check-in" at venues using text messaging or a device specific application. They are then awarded points and sometimes "badges." The service was created by Dennis Crowley and Naveen Selvadurai; Crowley had previously founded the similar project Dodgeball, which Google bought in 2005 and shut down in 2009. As of early 2010, the website has about 500,000 members. We meet about once a month to discuss topics related to Chicago Social Media Marketing . Meeting information is posted on our Events Page.